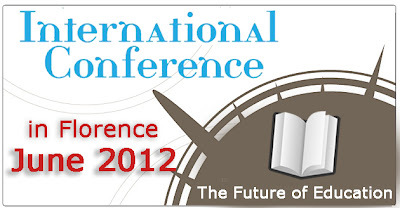 The second edition of the International Conference “The Future of Education” will take place in Florence on 7 - 8 June 2012.The Call for Papers, in the Future of Education Conference’s framework, is addressed to teachers and experts as well as to coordinators of projects and initiatives in the field of education and training. Teachers and experts in the field of education as well as trainers and educational project coordinators are invited to submit an abstract of a paper to be presented during the Future of Education Conference. 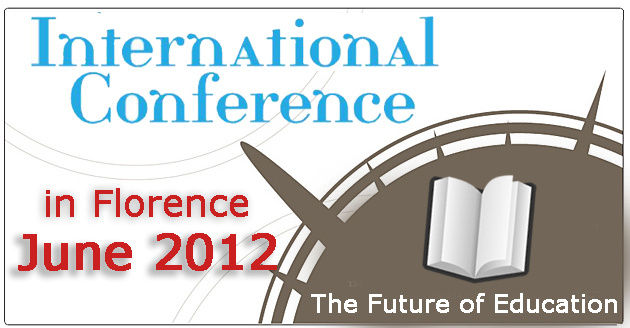 The abstract should be written in English (300 words) and sent via e-mail to edu_future@pixel-online.net no later than 16 January 2012.